How to book a show? What is a Chainsaw Carving Show? In one word, amazing! We start with a 2 or 3 foot tall log, then the saws roar to life and the chips fly and before long something amazing begins to appear out of the raw log. An amazing piece of art can be produced in about 60 minutes. The combination of a powerful, dangerous, loud and awkward tool, the artist’s incredible precision and skill and the universal appeal of art and nature combine to captivate young and old alike. A Chainsaw Carving Show is entertainment like no other. 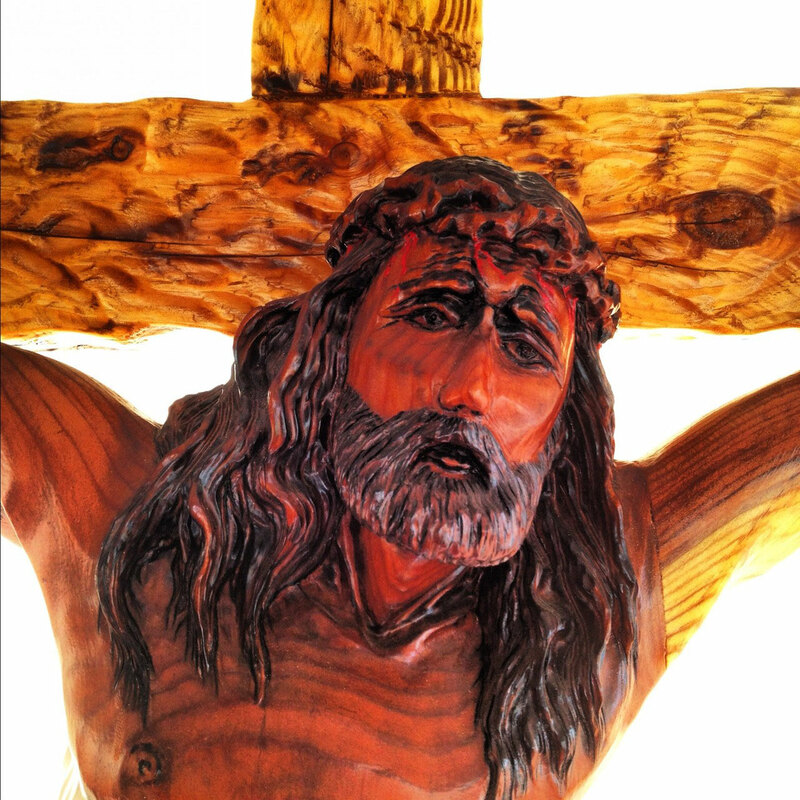 A Chainsaw Carving Show can be negotiated to meet just about any venue, need, budget, or schedule. You can host a mini competition, a demonstration, or exhibition. We can also employ other pro carvers for a power competition or non-stop entertainment. You choose and decide. 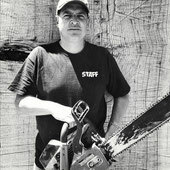 Why host a Chainsaw Carving Show? In two words, Its Entertaining and profitable! Shows have the option of retaining the sculpture/s created for auction or sale. Events can recoup costs, even make a profit as well as draw in the media, spectators and customers. No other entertainment can offer so much! What does it cost to host a Chainsaw Carving Show? We start with 3 Basic Shows and work from there. All Shows include the basic carving wood, tent with safety netting, lighting, cleanup, generator and compressor if needed, insurance and help staff. Depending on which option you choose we can carve bears, eagles, company or school logos, or any other family friendly subject matter. 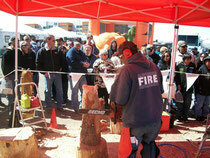 What should I consider when hosting a Chainsaw Carving Show? Space; I will need a fairly large area to accommodate a large truck and 24’ trailer, a 10’X10’ tent, and some space for spectators and display sculptures. Noise; Chainsaw carving is noisy! Consideration must be made for other vendors, musicians, neighboring facilities etc. Most of these kinds of issues can be resolved ahead of time with good planning and communication. Booking and Budget; I can get pretty busy at different times of the year but I am normally pretty flexible, however the best way to assure I’ll be there is to plan early, and get your event on my schedule. An invoice/contract will be drawn up and a 25% down pmt/retainer fee will reserve our show for your event.